Learn 8 KICK Phrasal Verbs in English: “kick back”, “kick out”, “kick up”… English Grammar – “try to do” or “try doing”? Talking about CLOTHES in English: Vocabulary about SHIRTS Vocabulary: Talking about CLOTHES in English Speaking English – “Dress up” or “Get dressed”? and exactly what we needed without suggesting it. Teaching phrasal verbs in a meaningful context (Clothing, in this case) helps a lot to memorize them in order to put them into practice. I’ve watched other video-lessons on phrasal verbs on EngVid and they have really been difficult to memorize for me because the whole set of PV belongs to different contexts. Thanks for this excellent video-lesson Emma. Take care! Bye for now. thanks to your good and meaningful teaching. Thanks Emma, please do more, i love phrasal verbs and idioms! Thank you Emma for your lesson. Thank you Emma for lesson. But i don’t know this word mean “Your Fly”.can you help me? Let’s see if we can fix this. What web browser are you using? Is it up to date? You can check here. I must take my hat respecting you! When you have on shower hat, How cute you are!. XD Nice Jacket~ good on you~ Thanks for the video. emma please help me . I have to keep in my mind a lot of words and memorize them in a short time . what should I do ? Hi Dedo, just out of curiosity, why do you have to memorize a good number of words and what is even worse. . . in a very short period of time?
. . . just to recite them from memory? It makes no sense to me. I’m still wondering. . . why? Remember memory can play tricks on you? (LOL). Some teachers teach to memorize phrases not words. You must to try learning the words without translate it…okay good studies! Great lesson Emma I got 100%!!! Thanks for taking your time to do this lesson, I really appreciate that. Hi Cristian! I’m Nick. I would like communicate with you and practice our English. I couldn’t find you in Skype. There is a lot of people with login Cristian Macedo. Maybe, will you write to me? My login in Skipe is gorashchenkonb. I would you like communicate whith you our english. May I add your skpipe? You are cool teacher ! You speak understandable slow English. I’ve had pleasant and useful lesson. Please, continue with your classes ! Thanks a lot, Emma! It were very useful phrasal verbs. Many of them I didn’t know before. Useful Lesson and Presentation was excellent. Hi, Emma Thanks for you. I got 8 out of 10. I was very useful. Thanks Emma. thank you so much beautiful teacher. !!!!!!!!!!!!!!!!!!! How can I download IELTS videos from this site? Explain me how to do it, please. I put on my glasses now to see what I’m writing to you Mrs Emma.It’s a good lesson. now I’m going to take my glasses off because I’m writing a period. joking. it is my fist lesson, tnks ! Perfect class! Thank you so much. 10. __________ your socks and then your shoes. Sorry, I got It. !! Hello Emma, you forgot to demonstrate STRIP DOWN :) Hehe.﻿ Just kidding. Thank you for the lesson. I loved this lesson Emma! thanks! hi everyone ! i wanna practice my english! add on skype, my user is krloz095! Hi Emma thanks for this class. It’s really confused, but necessary to know. Sometimes is complicated to learn a lot of phrasal verbs, but the way that Emma show us is easy. Thank you. I have got a question.what kind of filter breaker are you using that allows you to watch the lessons?how is the speed? psiphon3,freegate and lanter work well at the moment. I take off my hat for you Emma. Shouldn’t you have said What ARE you havING on right now? cuz i think the verb tense is present progressive. thank you Emma , you explain great. I memorize quickly with your teaching. why people call the pints zipper PLY ? Very good your explanation Emma.. thanks a lot! Thank you so much for your lesson.You are my favourite teacher! thank you Emma > you always do great lessons. hello Emma, I always wanted to thank you about you’re great lessons, It’s very helpful . but unfortunately I have a problem to practice english in my country, and when i do this in the internet most people they told me that you have a lot of mistake in grammer, so do you think i can improve my english skills quickly or not? 8/10. I must kick off my shoes and go on my own feet. What a shame 2 mistakes. Very helpful this lesson. I learned phases that I don’t knew it before. Thank you so much. Thanks for the knowledge you share with us. Now we’re very confidence to use that phrasal verbs in our daily conversation. Waiting for more lesson to come regarding phrasal verb. Thank again teacher Emma! Thanks Ema, by the way I understand what You got 10 correct out of 10 means, but I dont understan how the word OUT is used here. thanks so much, Emma. This lesson help me not be confused anymore. I wish you share more phrasal verbs about other activities. Thanks again. I thought you were having on a flower crown when I saw the preview. Thank you for your time. Kick off and wear in were new to me. Why is the sentence ‘What do you have on right now?’ NOT in present progressive? Hello, Emma! I’ve really loved your class. I learned a lot. All of you teachers, I really thank you. You’ve found a way to teach me. I’ve been learning English for a long time, but it wasn’t so easy! I’m mnemonic and you’ve acted such an actress! I’ve understood everything. God bless you! Will you make application for apple ? And can you suggest me english courses in america ? Because ı will be coming there next mont. so ı want to go to english courses ..
It’s very easy for me. Thanks Emma you are the best teacher. I got 100! Thanks for the lesson…very useful. You’re awesome Emma! I don’t hate phrasal verbs, I think use phrasal verbs is kind of cool thing. Because I have seen a lot of native English speaker use that a lot. hi con you tell me, why you hide your face? are you too ugly?? what’s go when on whith you? 90 percent for me. im godd im a great understander. so, for example in negative form o question form. Thanks Emma. You demonstrate when you explain every phrase. That’s great. You demonstrate when you explain every phrase. That’s great. Thanks Emma. thank you very much , it’s a great lesson. thank you for this quiz.it helped me to practice my wrong english grammar. It was so easy I do all of them correct. Emma,your lessons are very interesting!!! Hi! I am from Mexico I am learning English and I am looking for someone to practice. :D Nice to meet you. very useful but I don’t like your way of teaching ,,sorry. 90% at the quiz..thank you. So , what do you suggest Rahaf ? it’s really awesome!!! thanks Emma madam! Thank you Emma. Great lesson. It is the is first lesson I watched from this site. I think this site is very powerful. It’s a very good tool to learn English. Thanks a lot, Emma! Thanks Emma for phrasal topic. I took ielts last month.but I’m unsatisfied with my score. I’m think that I’m going to take an exam by end of the October again. could you upload video about reading skill ? this is the good method to studying english for me. Thanks for TEACHING. I wanna talk with any friend on my skype direct , and learn me phrase and correct me if I mistake. Thank you so much I like you. Thank you very very much Emma. That was really helpful. Very interesting and helpful lesson. Thank you Emma!!!! Thank you very much for this lesson, it was very useful for me! Thanks a lot for you explanation! Thank you Emma. I have learnt a lot of phrasal verbs. Thank you Emma. I am learning english with you. Thanks I want learn more phrasal verb. Hello Emma! Thank you for a great lesson! If you don’t mind, I would like to ask you some questions that have nothing to do with this video :) As far as I understood, you learn the Chinese language. And the first thing I want to know is why did you decide to learn Chinese? Is there a necessity to do this or you just like this language? And the second one is how do you learn it? I have always dreamt to speak in the Chinese language, but I just don’t know what to do first. Could you give me some advice? Thank you in advance! *Are there any differences? :) Sorry for my mistakes. I will try to avoid them! Thank you Emma. It was interesting. hi..emma, it’s incredibly helpful…..i got 10 correct out of 10. Good Class, good teacher!! thank you a lot for this knowledge! it was so good i learned so many things. This Video is very valuable for me….. Thank you Emma… God bless you..
hi Emma i like to watch your engvid videos very much and it is very useful to me.i always watch your videos and try to learn somthing new.i did not very good at english but now it is good. now on I should throw on my suit because I’m always in a hurry. Heheee I got 10/100 never I done before thanks you are a great teacher ..!! Hi Emma!I like your lessons so much, it is useful for me to improve my English in the daily conversation. Thank you. its good improvement. Great lesson ! Thank you very much Madam. The way you teach is just great. Thx a lot Emma. Thank you Emma, it is very important information! thank you so much for this brilliant and useful lesson. Please, keep on like this. WOW! !WHAT A LESSON.PLEASE ADD SOME MORE PHRASAL VERB.FINALLY I GOT 10 OUT OF 10.THANK YOU EMMA. that is a good lesson. I have a lot of dificulties in phrasal verbs but, day by day, im learning them and I am glad for your teachings. Thank you so much Emma you help me for that. Promises will come again. tank you so much. I for the best way your teaching. i can’t discribe in words how happy iam. tanks alot. Thanks a lot, Emma. I got 100 points. thank you for a useful and interesting lesson! Thank you so much for you very helpful lesson, teacher ^^. Thank you so much Emma, you are a wonderful teacher. I would like to know about the difference between get dressed, dress ,be dressed in ? how to do for downloading the vedio. ı got 10 correct out of 10. Thank you so much Emma. I got to grow my experience through your Lesson. So, I got it. I dress up and take a first date now. Just practice, thanks for help me. Thank you for your class Emma, I honestly hate phrasal verbs, but I can remember when i’m studying here. Thanks again, bye bye! Thank you pretty woman for lesson. i got 90…thank thank you for explain this verbal phrases…always i didn’t understand..but this video helped me a lot ..thanks.. The easiest way to learn phrasal verbs!Thanks! thank you Emma for your great lesson . but what about Make Up ? One Question… What would be the difference between these two sentences? Do your coat up! It’s cold outside! and Do up your coat! It’s cold outside! in other words if I use “do up something” or “Do something up” there will difference? Thank you Emma! Great lesson. I would like to be your friend. My email is nguyenvanphat021086@gmail.com. Could you reply me your email? 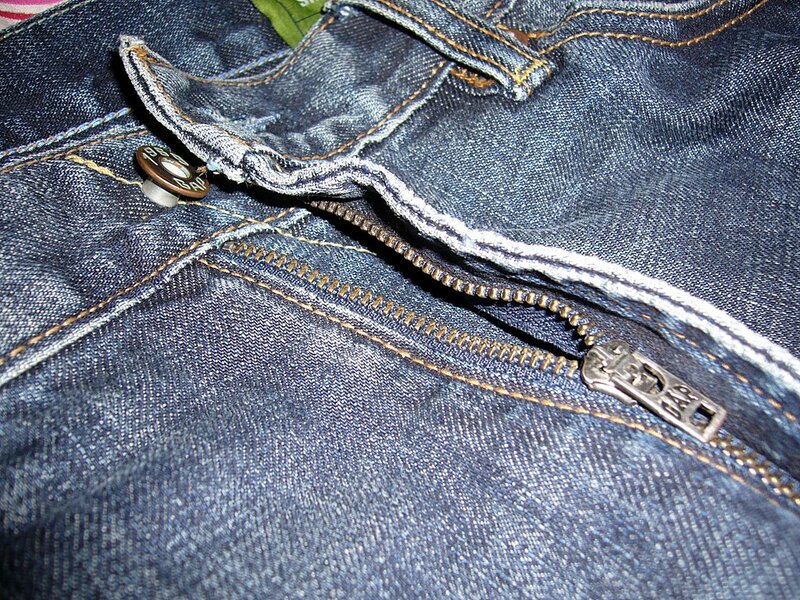 I recognized the phrasal verb “zip up one’s fly”. But I don’t know the reason why “fly” means “the zipper on pants”. Is it like insect? Thank you Emma so much for nice lesson. I feel as if I take private lesson. i think your English lesson is very helpful! everyday gain a little contributes to big success! Thank you Emma. Great lesson!! Perfect lesson Emma. You pronunciation is very good. Thanks, Emma. you are beautiful and a good teacher. Thank you Emma! It is very helpful and every day use phrasal verbs. Thanks for this interesting video. the phrasal HAVE ON we use it just with head, I mean i have on a hat. Can i answer this question like i have on a jeans and sweater? Fantastic Emma, thanks for share your knowledge with us. Fantastico Emma, gracias por compartir tus conocimientos con nosotros. I wonder if someone could tell me if these phrasal verbs are correct for saying the opposite of zip up and button up. Does this have any sense or I’m wrong? Thanks Emma…. i love ur teaching style…..
Great lesson and very useful for me! maybe i didint know explain good, I would like to tell that is great way to teaches, because when you see something you can learn faster. I got score 100 in this quiz. I do love phrasal verbs! have you got an idea to help me remembering easier? I am very much keen interest to use phrasal verb to make a sentence. It’s very helpful to learn English then other sites. I like you Emma. Thanks for your cordial teaching. My first lesson here and I’m loving it! Emma you’re a great teacher. I didn’t know these pharsal verbs yet. Thanks a lot! I understand you……I didn’t know about the phrasal verbs on my english lesson….but I learned only here. Thank you. You are the best here. I like your lessons. It’s very difficult to remember. What does “put on” mean? I dont still understand? Would you mind explaining it clearly, Ms. Emma? OMG, i ‘ve got 100%. Thanks Emma very much. Thanx for the wonderful lecture. ” you need to wear in your shoes to make them more comfortable’ rather than saying ‘you need to wear your shoes in to make them more comfortable ‘ ? Thanks a lot Emma,you are the best! Please do more about phrase verbs! Thanks Emma I loved this issue. Best wishes. what is the diffrence between too,as well and also is ? Clear and useful. Very good lesson. Thank you very much. Thanks a lot !!!! !please can you make a lesson about tourism . Thanks alot . That was a verey good lesson . Hello Emma! Thank you so much for your lessons! I liked this lesson very much, because you are prepared. I also like other your lessons, because you are very careful with your pronounciation. I know that native speakers speak very quickly and it makes comprehension too difficult. thanks a lot! video is really easy to listen and comprehend! Thank you teacher. I started to study with Engvid after watching this video on YouTube. You’re an excellent teacher. Congratulation!!!!!! It’s a everyday vocabulary, so we must be aware of it. great lesson. thanks a ton. greeting from Georgia. got a perfect 10!..thank you Ms.Emma for this informative topic. Thank you Emma, you are very nice. Thanks Ema! I loved so much this lesson. Thanks a million for this excellent lesson. I love this lesson so much,thank you Ms Emma. Thank you so much, teacher! By the way, really nice your hat! :) See you, then. I loooove your class, with you is easy to learn. hello Binnry ,could we make friend to practise english together? if you like , you could add my qq number 957091486. I’m from Brazil and I would like make a friends and practice my english. So if you want to talk to improve your english and make one more friend, my skype login is khaiokhio. thanks!!!! All of these expressions have been very useful to me teacher Emma and now I’m more able to put my skills in practice about clothes using all these phrasal verbs. Thanks a lot! It’s an usefull lesson. thanks emma you’re something else. can I use kicked off in the meaning “started”? thank you teacher Emma so much, i keep following your lesson and I learn to much from you. wish you healthy and happiness. it’s very helpul to me ,tks emma, your teaching is so visual that i could rember them easily and quickly. Hello Emma, thank you for help us with english language. I appreciate it. God Bless you. Please, Emma, stop dancing around from one side to the other during your classes. It´s not necessary and really annoying. Tx. hello Emma,thank you a lot.wanna ask you: can i say, i throw my glasses up? I need to meaning of the phrasal verbs also if you do I can easily store in mind. Thanks so much Emma. God bless you for doing such a wonderful job. It’s a very useful lesson, explained very well. Thank you! I really need to learn more about phrasal verbs and practicing them: they’re very confusing for me. I got 9 of 10. Thanks again, Emma! Your explanation help me a lot over, but I need to study more this lesson about phrasal verbs, because it’s a little difficult. I have a 100. Thanks Emma! I got 90 😊, thank you Emma . Thanks, Emma I really like the way you explain things it’s sounds really easy to learn new phrasal verbs. I love this teacher !!!!!!!!!!!!! Wonderful lesson!Thank you teacher Emma. Thank you mam for these useful phrase verb, kindly teach more such phrases, i think phrase and slang are very important in daily conversation. one again i appreciate you dear mam. It is very interesting and comprehensive. Thank you so much Emma. It’s quite useful!!! Thanks Emma! I am very confused until I studied your lecture! And now I can use it easily! By the way, could you explain the difference between “getting dressed” and “put on the clothes” for me? Thank you in advance Emma! Thank you so much Emma, great lesson. Oh! I love you very much Emma. Your lessons help me understand English grammar a lot. And your voice is very clear and beautiful. I Love you much Anna when you teach, your explanations are very clair. I always use this phrasal verb in a wrong way! Thank you, Emma. It’s very helpful. This cour is truly interesting for me thank alot bye . I got 90!! Thank you very much! 1. (of an aircraft) to leave the ground and fly. 2.infml To take off is also to leave suddenly. 3.to suddenly become popular or successful. Thank you so much for the topic you discussed. I need information about “get into”, apparently it uses in the realm of phrasal verbs about clothes.